Wraps are inherently difficult to measure. Length is measured with a soft tape in hand. The tape measure I use is 100 ft, so it is done continuously. I square the wrap when measuring width (so as not to measure diagonally) and flatten the wrap without stretching to get the width. Thickness is measured with a micrometer. This is highly dependent on user. Thicknesses should be used in comparison rather than as absolutes. 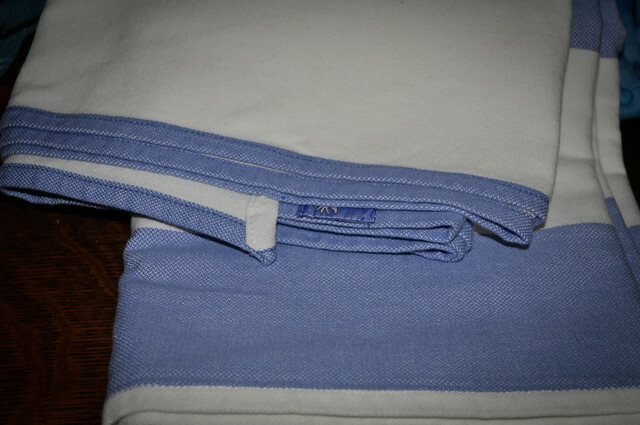 Didymos Lavender Silk Ellipsens combines lavendar silk with blue cotton. This wraps glides very easily, has very little grip. Some wrappers will find it slippery. I find it thin but not diggy. 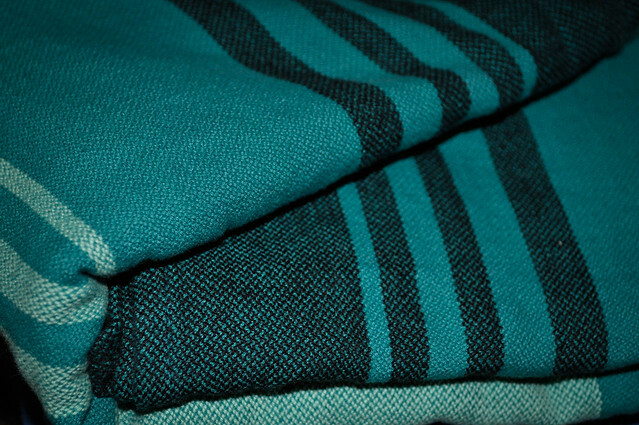 Didymos Tulali is a super thin cotton/linen/tussah blend released summer of 2012. 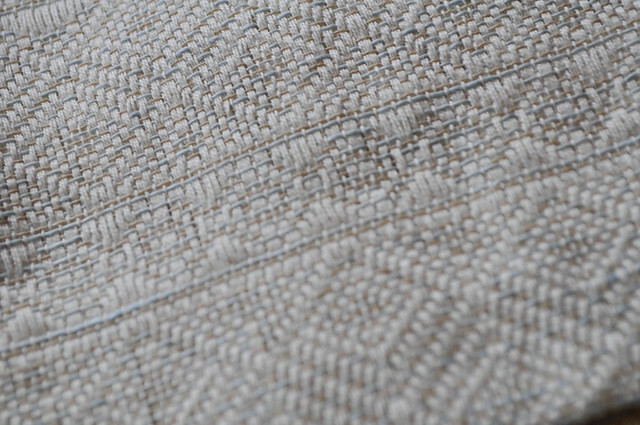 The mixture of lago (light blue) linen threads, golden tussah threads and ecru cotton threads give this wrap a antique feel. Very thin this wrap is prone to thread shifting though I only small amounts. Hoppediz Toronto is a standard line Hoppediz with blue and white stripes. It is wide, moldable and easy to wrap with. 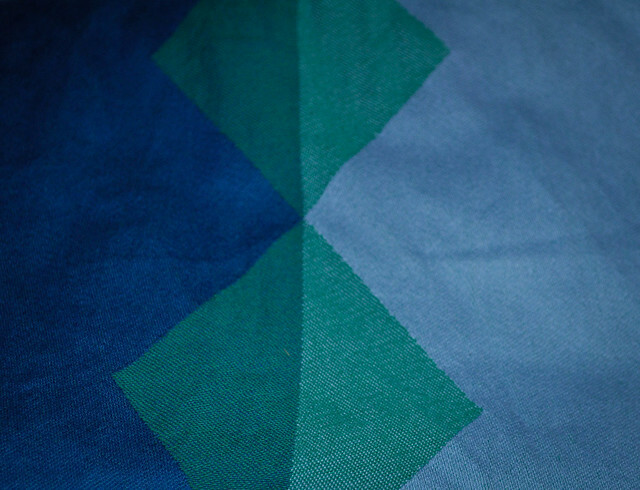 Didymos Jonas is a smooth jacquard wrap that has been removed the standard line. It is thin, glides easily and is very moldable. 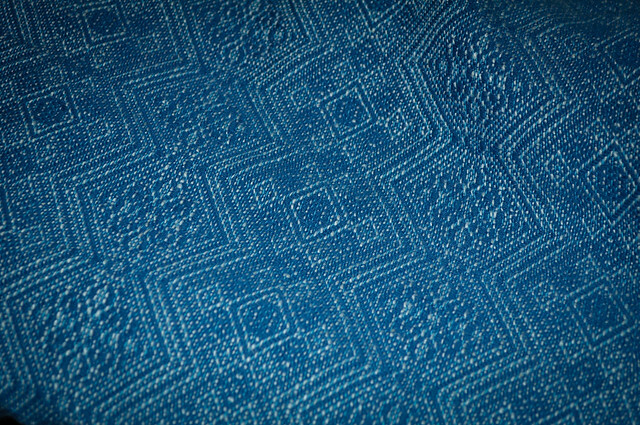 Didymos Mystic Hemp was woven in the old standard pattern. 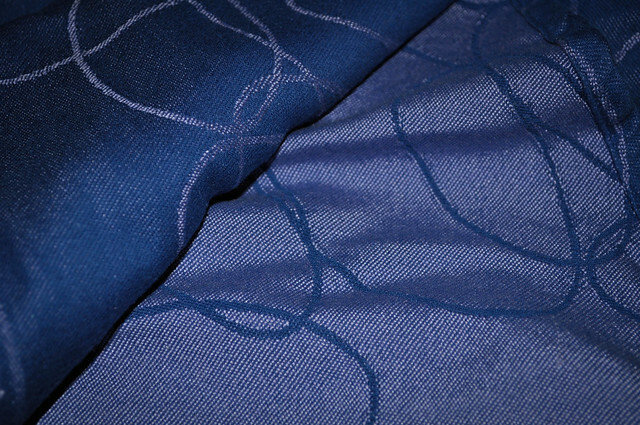 Slightly bouncy, cushy and moldable, Mystic is a very unique wrap. Girasol Mojito is a Slingomama exclusive colorway. 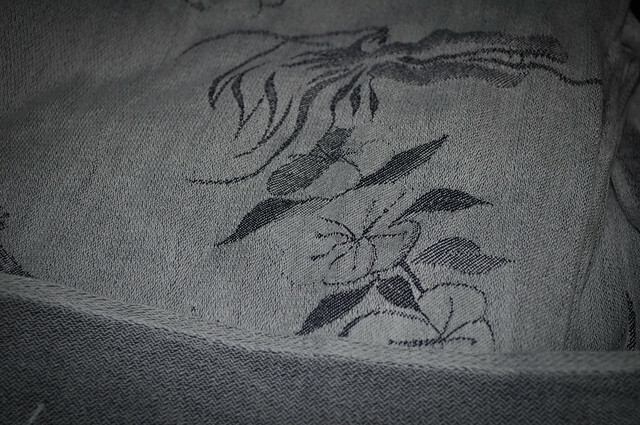 Mine is woven with the original weft. 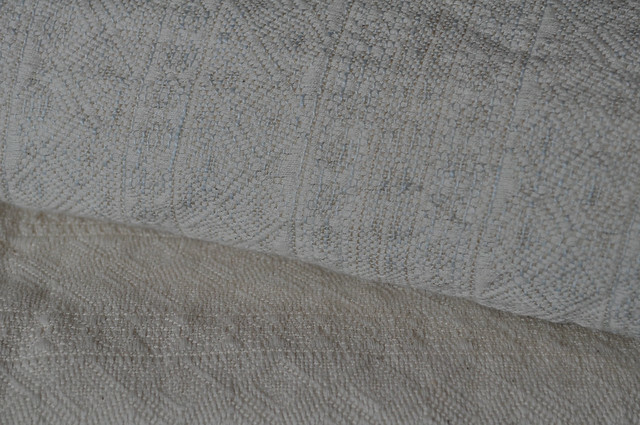 Vatanai Socotra is the first color released in the dragon weave. Slightly cushy, Socotra is smooth and silky on the light but has more grip on the darker side.